A total of four nightly full closures of Ojibway Parkway between the north and south Hwy 401 ramp terminals will be required, once per week, commencing on January 9th. The closures are tentatively scheduled for Wednesday nights (January 9th, 16th, 23rd and 30th) however this is weather dependent and so is subject to change (ie, could change to Tuesday night, or Thursday, or Friday, etc depending on the weather forecast). Portable variable message signs will be employed in advance and, along with existing variable message signs, will display notices advising motorists of the expected closures. During the full closure, advance warning messaging will be displayed. As noted in the handout, closures will take place only between the hours of 10pm and 6am and notifications will be sent at least 72 hours in advance. Again, these dates are weather dependent and are therefore subject to change. We will continue to provide updates should there be further revisions. 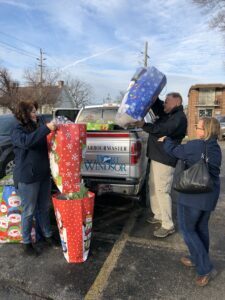 Port Windsor has donated 100 meals and 100 cold weather kits to the Street Help for the Homeless Centre at 964 Wyandotte Street E. Each kit contains two pairs of warm socks, gloves and a toque to help protect the homeless against harsh winter conditions. The donation is made in the name of Port Windsor’s customers and community partners. For each person attending the recent Year-End Open House, a package and dinner was placed under the office Christmas tree. and surrounded by family at the dinner table. Steve Salmons, President and CEO of the Windsor Port Authority. 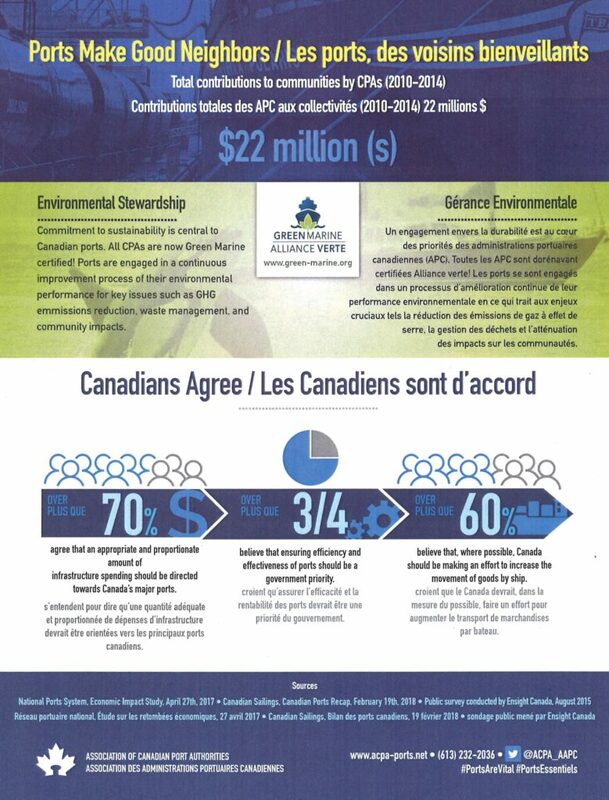 In 2018, Port Windsor contributed more than $40,000 to a dozen community projects, ranging from the Chief Tecumseh/General Brock and Hiram Walker sculptures, Open Streets, scholarships at both the University of Windsor and St Clair College, The Arts Council of Windsor, neighbourhood clean-ups, St John’s Sandwich Food Bank, STAG, Windsor Symphony and the Mission to Seafarers. 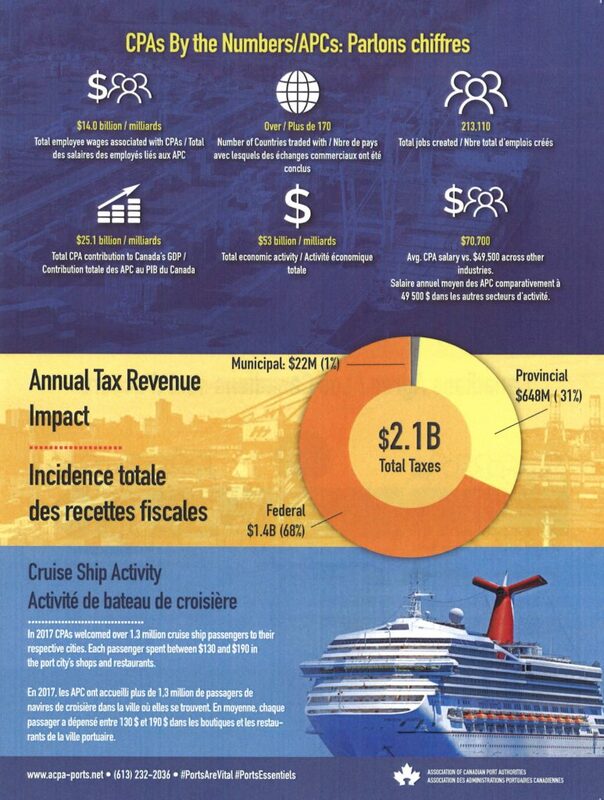 The Windsor port is one of 18 national ports identified for their strategic contribution to the economy of Canada. 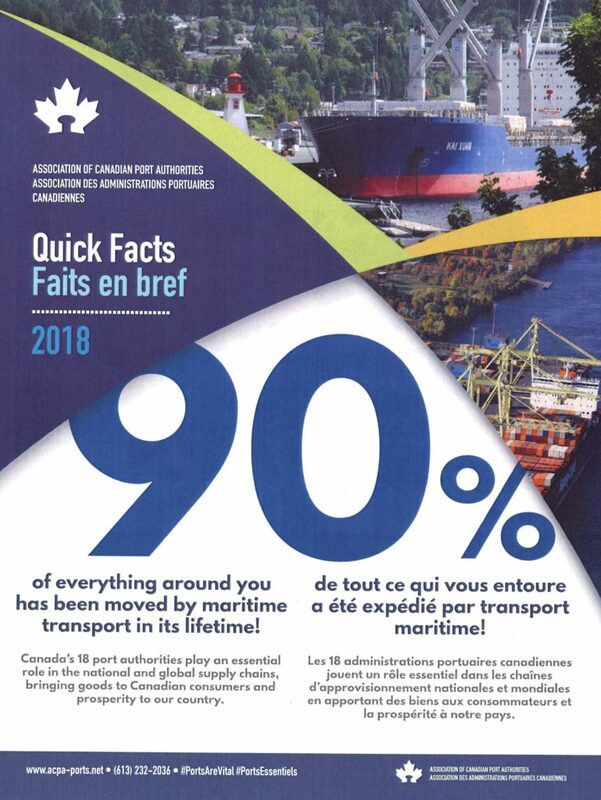 The third largest port in Ontario, Port Windsor moved 5 million tonnes of product in 2018, created more than 800 direct jobs, and contributed $260 million in economic impacts locally. 100 cold weather kits loaded for donation to Street Help Homeless Centre of Windsor, ON. 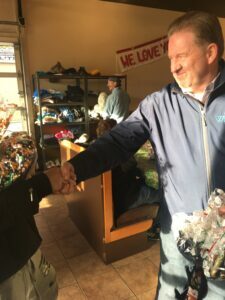 Steve Salmons, Windsor Port Authority President/CEO, visits Street Help Homeless Centre of Windsor. 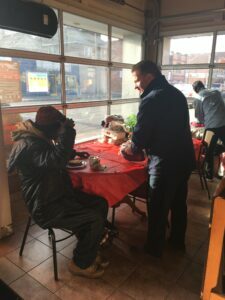 Steve Salmons, Windsor Port Authority President/CEO, visits Street Help Homeless Centre of Windsor, ON. The Windsor Port Authority is pleased to announce its participation in a community tree planting event taking place on October 30, 2018. 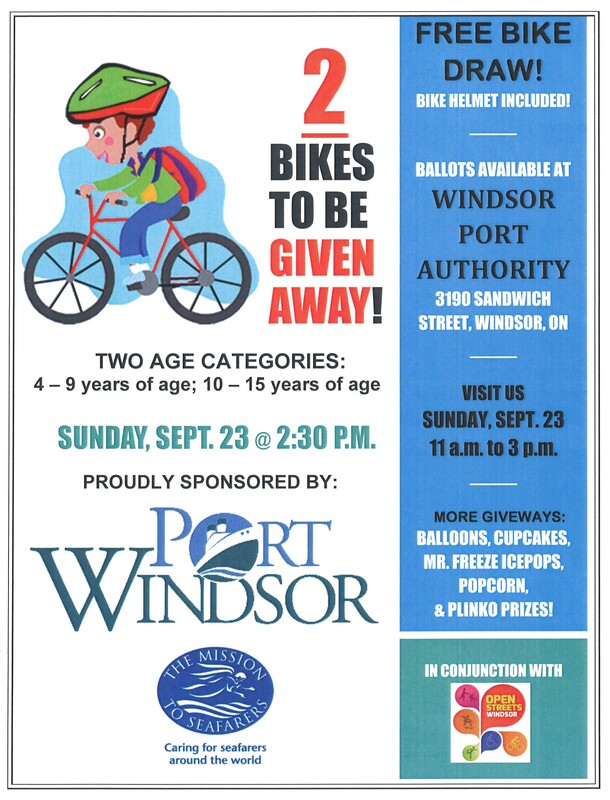 The Windsor Port Authority remains committed to partnering in projects within the Sandwich Town community that strive to promote the further beautification of Sandwich Town and in particular those that provide an enhanced environmental sustainability. 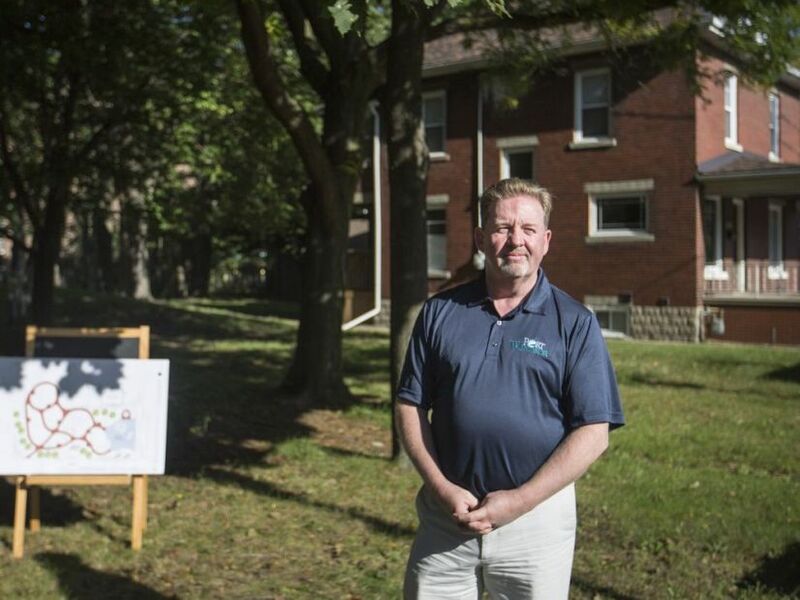 A total of 53 trees will be planted along Russell Street in an effort to reintroduce native tree species and will also provide additional habitat areas for birds and animals within the Sandwich Town community. During the community planting, a total of 26 trees will be planted by the youth and staff of New Beginnings and also the youth from the Islamic Academy School. 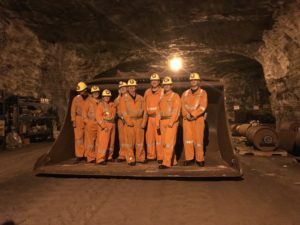 This project is made possible through a partnership of the Windsor Port Authority and Lafarge Canada Inc and in consultation with Essex Regional Conservation Authority. Last year, the Windsor Port Authority contributed to more than a dozen community projects ranging from the Chief Tecumseh/Brock and Hiram Walker sculptures, the recent Open Streets festival in Sandwich, scholarships at both University of Windsor and St Clair College, the Arts Council of Windsor and Region, neighbourhood clean-ups, St John’s Sandwich Food Bank, STAG, Windsor Symphony, and the Mission to Seafarers. 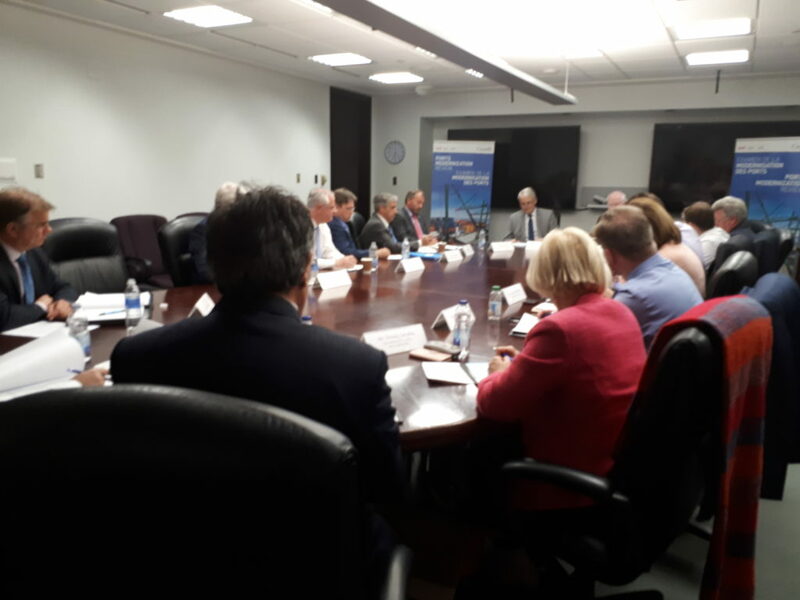 The Windsor Port Authority is one of 18 national ports identified for their strategic contribution to the economy of Canada. The third largest port in Ontario, Port Windsor moved more than 5 million tonnes of product through its terminals in 2017. That creates more than 800 direct jobs on our docks, and $260 million in economic impact locally. Steve Salmons, Windsor Port Authority President/CEO announces creation of Outdoor Marine Museum to be located in Historic Sandwich Towne. a unique community space next to Windsor Port Authority in Historic Sandwich Towne. socialization, relaxation, and fun to learn Port history and facts. of national strategic interest that is Windsor today. through a partnership with the Sandwich Teen Action Group (STAG). Bank, STAG, Windsor Symphony, and the Mission to Seafarers. more than 800 direct jobs on our docks, and $260 million in economic impact locally. Join us Sunday, September 23, 2018 as we participate in 2018 Open Streets Windsor. Free giveaways including Bike Raffle Tickets (ages 4-15), popcorn, “Plinko” game prizes, etc. in economic activity in Ontario and Quebec. 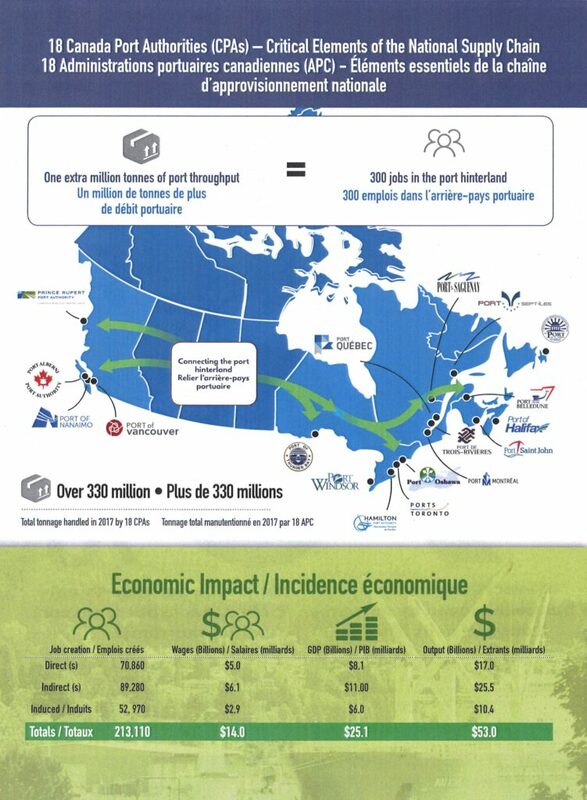 the economic benefits of the shipping activity along the entire bi-national Great Lakes-St.